Everything begins with selecting a funerary specialist. These facilities employ individuals who are trained in guiding families through each step in the process. 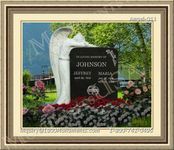 They advise many things, including the documents that are legally required, writing an obituary, deciding on burial details, as well as all aspects of both the memorial and interment services. It is also necessary to decide who will be conducting the proceedings. Traditionally, it would be the deceased's minister or spiritual leader. If they were not associated with any particular group of that type, the position may be given to another cleric or perhaps to someone who was close to the individual and knew them quite well. Others may request the opportunity to speak a few words. Giving the eulogy can be one of the more emotional tasks. This heartfelt summary of a life should list their accomplishments and special attributes but should remain only 5-10 minutes long. A funeral service has a lot of details to look after. 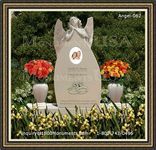 Some things that should not be overlooked are a book for guests to sign and leave messages in, a table on which memorabilia and photos can be displayed, and a commemorative handout or program that provides everyone with a memento of the deceased. With respect for the grieving process, the ceremonies should only be between 30 minutes and an hour long.